Ahh, North Park. 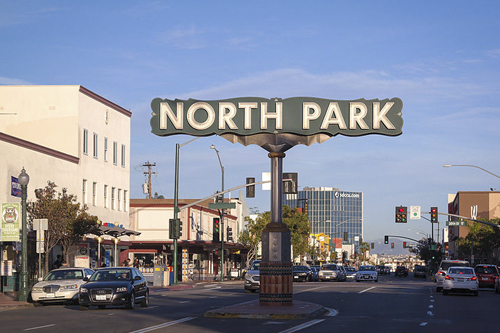 With it’s charming craftsman homes, trendy craft breweries, coffee houses and restaurants, not to mention the historic North Park Theatre (now the Observatory), the iconic water tower landmark, and proximity to Balboa Park, this is one of San Diego’s hottest neighborhoods. Believe it or not, this now bustling community started as a far flung suburb in the early 1900’s. Described as “wild and wooly”, the area was then referred to as East San Diego. You won’t find any cookie cutter homes here, and most date back to the early 1900’s. From charming cottages to grand mansions, North Park features a diversity in design and architecture you won’t find in many other neighborhoods in San Diego. They don’t build homes like this anymore. And did I mention freeway close? With easy access to I5, 805 and 163, you can get anywhere fast... not that you’d ever want to leave.